Here at Mawdsleys we specialise in Motor Rewinds – repairing all models and brands of motors. With our team of expert engineers having many years’ experience in the industry, we are able to carry out rewinds promptly, allowing your motor to return to maximum efficiency. Our extensive client base covers a wide range of sectors, from small private firms to international companies. Our many years of experience enabling us to very quickly identify issues with motors and ascertain whether a rewind is necessary. 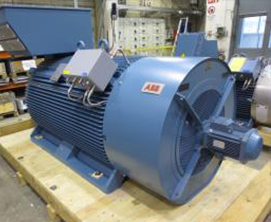 Our motor rewinds service encapsulates the rewind, repair and refurbishment of rotating equipment including AC motors, DC motors, alternators and generators. Excessive noise and vibration from components of the motor. Notable underperformance from the motor. Complete failure of the motor. Visible damage to the commutator. Carbon brushes wearing out faster than usual. Leaving these problems unchecked can lead to much more serious issues developing within the motor and even leave the motor completely irreparable. We understand how much frustration a motor can cause you when running at a less-efficient power. 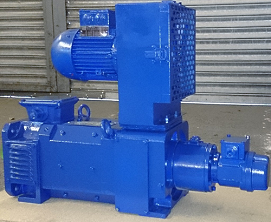 Ensuring your motor is running at its most energy-efficient can make all the difference to the profitability of your operation. We take pride in our reputation for reliability, and have a full suite of spares and parts that enable us to offer prompt turnarounds on all rewinds, regardless of the age or condition of the motor. All the items we repair go through rigorous testing in our in-house test facility, ensuring that they meet the operating requirements in line with current British standards. If you have a motor in need of a rewind, we can help get you moving again. To book in for a service, or to request more information about any of our mechanical and electrical services, give us a call today on 0117 955 2481 or fill out a contact form and we’ll get back to you.